Today I want to talk about my BRAND NEW Amazon Sharks Video Course! Amazon Sharks is your ULTIMATE guide on how to create a highly successful private-label products business on Amazon UK! I have spent hundreds of hours creating this comprehensive video course, and if you stick with me long enough, you’ll see exactly why this is the ONLY program on Amazon selling you’ll ever need. In more than 100 video lessons, I will guide you through the entire process of setting up your Amazon business from scratch. Using my own experience, I’ll guide you step by step through EVERYTHING you need to know about launching and running a successful, profitable Amazon business! There are 10 modules in the program. Each module is made up of a number of detailed video lessons, a helpful next steps video, and a FAQ page where I address the most commonly asked questions. 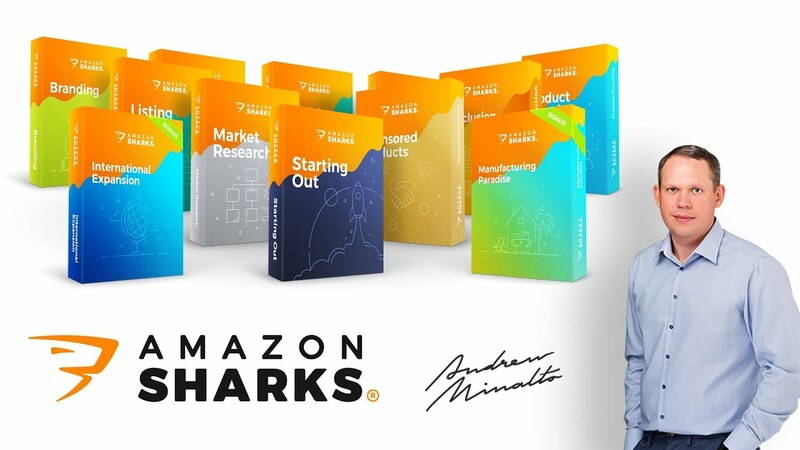 The program is specifically designed to fast-track you through the process of building your Amazon business, meaning you’ll achieve more with Amazon Sharks in 10 weeks than most people do in an entire year on their own.